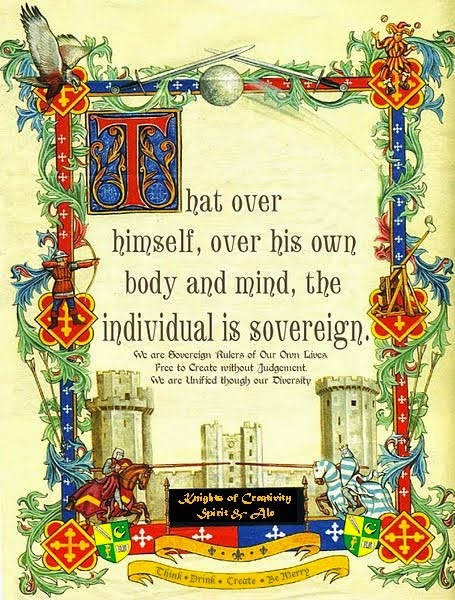 Knights of Creativity Spirit & Ale: Free Complements Anyone? This story is noteworthy on so many levels. 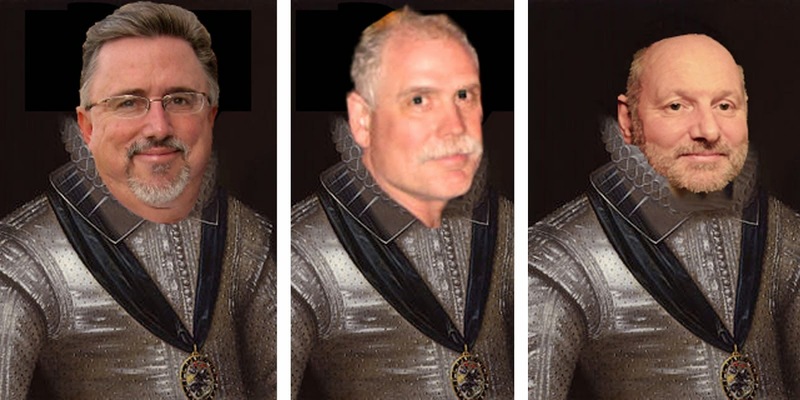 First, it took Sir Dayvd of Oxfordshire to bring it to my attention from across the pond in England. Second, ironically it is a story with its roots right here in Indiana, at Purdue University. The world is indeed a smaller place now days! It is also in need of crusaders like these two fine young men from Indiana! So in the Spirit of Unity through Diversity, which by its very nature encourages complements..."You look lovely today!" A pair of Purdue University students who gained headlines with their free compliments campaign are spreading the love in Washington as part of a sponsored tour. Brett Westcott and Cameron Brown, juniors at the West Lafayette, Ind., university, have visited several locations in Washington and Baltimore -- stops No. 6 and 7 on their 10-city Kodak-sponsored tour -- including the National Aquarium, Nationals Park for a ballgame, and Baltimore's Inner Harbor and Camden Yards, The Baltimore Sun reported Tuesday. Westcott and Brown, whose tour is due to continue this week to Philadelphia and New York, said they have tirelessly dolled out free compliments at each of their stops, asking only for an optional high five in return. 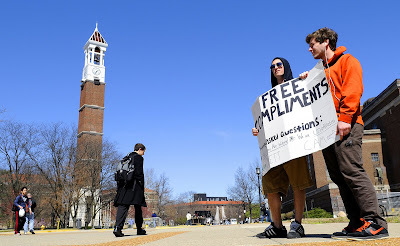 The compliment campaign was started by Westcott in early 2008, when he began standing in the same spot on campus every Wednesday holding a big sign and giving free compliments. He was soon joined by Brown, and the duo became known around campus as the Compliment Guys. The pair's work toward the goal of nonstop niceness attracted national attention, including appearances on National Public Radio and Good Morning America. The two students appeared Sunday on the Today show in New York. As a postscript, I would like to bring awareness to the fact that this is all based on "Free" Compliments. There are those compliments which are never intended to be free, but always have some sort of strings attached. Still, a valiant and much needed effort in our society today. I read about this over at Operation: Nice. What a, well, nice idea. Why thankyou Lady T, youre looking pretty fly yourself today...is that a new top? Chadwicks of Boston? You did a neat job of that Hooky. yep we all think of complimenting, but don't as we are frightened it will mean we'll have to follow it up with small talk, or if a guy wants to just simply say to a gal "wow you look beautiful" and leave it at that and just walk on by, he's worried she will think he's a stalker or something. So Girls Sometimes a guy just wants to say you look great. simply because you just do. I too read the article when it first came out. It reminds me of the free hugs campaign, play it forward and other noble ventures. A long going concept (have you hugged your child today? ), but no less worthy of mention. The world needs a lot more positive energy. "you're not only handsome, but a powerful man. I could see the second you walked in here, you were someone to reckon with…"
Yes, the world needs more "Verbal Sunshine!" "You know," she sincerely complimented, "you don't sweat much for a fat man!"